Law is a slim man of average height. As for his facial features, he has faint shadows right under both of his gray eyes, and his mouth is usually seen in a smile. He has dark blue hair (black in the anime), a majority of which is obscured, save for his sideburns and small black goatee, by the northern-style fur hat that Law wears, which is white and has spots on the bottom and along the rim. He is seen wearing a black-sleeved yellow hoodie with his Jolly Roger out on the front of his chest and the sleeves rolled up. Law also sports a pair of jeans with odd markings on both the knee and ankle areas, similar to the ones on his hat, but darker in color, and a pair of dark, pointed shoes. He also sports a pair of small earrings on each ear. He has many tribal-style tattoos on his arms; on his left hand, in particular, are the letters D, E, A, T, and H tattooed in black each on the back of his fingers. Originally in the manga, only his thumb was not tattooed, with the letter A missing. Later on, all of his fingers were tattooed complete with all five letters. He also has a black cross on the back of his right hand. As a child, Law had his fur hat and his faint shadows right under his eyes, but had a nice gentlemen suit, with a tie and black shorts, as well as holding a scalpel on his right hand and a frog on his left hand, meaning he already had a certain aspiration of becoming a surgeon since childhood. In Oda's depiction of the Supernovas post-timeskip, he seems to have lost the fur rim of his hat and replaced it with a bill, turning it into something that vaguely resembles a baseball cap. He also now wears a yellow t-shirt similar in appearance to his old sweatshirt with a black jacket over the shirt. 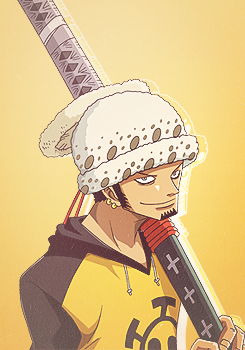 On Punk Hazard, Law wears his post-timeskip hat with a long black coat with his crew's jolly roger along the hem and on the sleeve. He wears black boots as well. His goatee has also become somewhat scruffier. His right hand now also has the fingers tattooed. 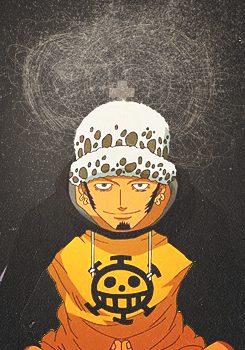 Law is an extremely laid-back character, who is nearly always seen smiling (although not with a huge grin, like fellow Supernova Urouge). The only times he is shown not smiling was when he's incredibly shocked, explaining something to other people, frowning in deep thought, or deeply embarrassed such as when Chopper was tied on his head due to him being unable to walk. He also has a more reckless attitude when faced against other pirates that the World Government has labeled as a higher threat. For example, he casually asked X Drake how many people he had slain in his very first appearance, and had no qualms about flipping off Eustass Kid, the most wanted Supernova on the archipelago (even smiling defiantly when doing so). However, he hates being ordered around, as evidenced of his frown and following reply when Kid told him and Monkey D. Luffy to stay back as he would hold off the attacking Marines. He is, however, capable of knowing when he and his immediate crew are in a pinch, and is not above resorting to forging brief alliances with rivals for survival. He speaks in a politely sarcastic manner. He appears to be honorable enough to refuse taking credit that is due to others. This is seen when he replied to Jean Bart that his gratitude is also deserved by Luffy when the former slave offered his gratitude to the pirate captain. Law has displayed a more competitive side about him in the anime where he, along with Kid and Luffy, got into a childish argument about who gets to take down the marines stationed just outside the Human Auction House when the three Supernovas came out to confront them. Although, this might be because he was a little angry at Kid for trying to order him around. In contrast, he does not seem as eager to reach the New World as the other Supernova crews are, believing that One Piece will still be there regardless while the other crews fight amongst themselves, and that he needs to steal the throne properly. He then began an as-of-yet unseen mission to achieve Shichibukai status, and allow him much more freedom to do as he pleases in his journey through the New World on the way to One Piece. Law also appears to have a sense of honor (or at least respect for those he sees as potential rivals in the future), which is seen when he appears at Marineford and claims he will help Luffy, because it would be too lame if his future enemy were to die. He was also appalled when he heard that Caesar subjected the kids on Punk Hazard to drugs. This is in stark contrast to what most people seemed to think about him, since Scratchmen Apoo claimed that Law was infamous for his cruelty, and one of Smoker's men claimed he cut out the hearts of one hundred pirates and sent them to the government in order to gain the position of Shichibukai. Law has displayed a cruel side, offering to strike Tashigi yet again after already vivisecting her body in half. He also suggested to leave the kids on Punk Hazard behind, as they were too much of a burden to deal with. Despite Law's blunt and rather cruel demeanor towards others, he has shown to have some sense of compassion, such as how he decided to help the Straw Hats find a cure for the children affected by Caeser's drugs on them even though he originally didn't want to have anything to do with them. He also warned the Straw Hats to be careful of Caeser's ability, and told those who didn't have the ability to fight Logias to stay away. Law is also very blunt when responding to people. Such occasions include when Ivankov asked if Law was a friend of Luffy, to which he replied no, and even offered to make an excuse to make Ivankov feel better about him saving Luffy. Soon after, a wounded Jinbe went to thank him, only for Law to reply that Jinbe would die if he didn't sleep. Later when Jinbe asked what would happen to Luffy if he was allowed to run rampant while still wounded, Law replied that the outcome was simple: Luffy's wounds would open up and he would die. He also has no qualms explaining to other people on how he accomplished nullifying their attacks with his powers, and before that, even stated to Tashigi that weaklings don't get the right to choose the manner in which they die. Town of Birth: Unknown, North Blue. Alliance: Super Novas and The Hearth Pirates Shichibukai. Devil Fruit/Abilities: Ope-Ope No Mi. 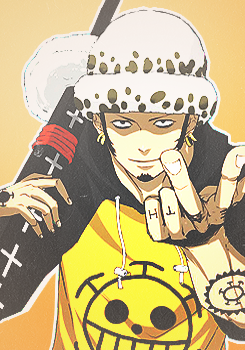 Much of Trafalgar Law's past is unknown except that he is originally from the North Blue. At some point he formed the Heart Pirates and ate the Ope Ope no Mi. Like the other Supernovas, he is first shown having arrived at the Archipelago with his crew before heading for the New World. He is the final Supernova to be introduced, seen sitting on a crate as X Drake, another Supernova, passed by after having broken up a fight between Urouge and Killer, before he asks how many people Drake has slain (in the anime, he is apparently on the scene moments before Drake appeared, clearly enjoying the fight between Urouge and Killer). Later, Eustass Kid observes him in the Auction House on Grove 1, where he reveals that what he has heard about Law is not very pleasant. Law replies with flipping him off, causing Kid to note that Law is lacking manners. As the auctioning continues, Law only observes in boredom. After Monkey D. Luffy attacks one of the World Nobles, he is seen smiling at the reckless action that his fellow Supernova has performed. A short while after, Law reveals to Luffy that the auction house is surrounded by Marines, since the Archipelago is so close to Marine Headquarters (although Luffy is more interested in the bear who was with Law). Law, Luffy and Kid confront the Marines. Added by Buh6173Later, after Silvers Rayleigh has knocked out the majority of the soldiers standing in the pirates way, he is seen still standing, along with his crew, the Straw Hat Pirates, Kid, Killer, and their crew as well. As the Straw Hats and Rayleigh prepare to leave the Auction House before the admiral show up, Kid tells Luffy and Law to stay back as he will hold off the Marine grunts, much to both Law's and Luffy's annoyance. Law tells Kid that he would finish him off too if he orders him around again. The trio then demonstrate their Devil Fruit powers to hold off the Marines, with Law utilizing a field where he replaces a grunt's head with a cannon ball fired at him. As the fight continues, Law is busy with switching around the Marine soldiers body parts in order to confuse and beat them. Later, when the trio has defeated the first wave, Law notes that Luffy has shrunk due to the side-effects of Gear Third. After everyone has exited the Auction House, the Marines begin a heavier assault on the pirates. At that moment, when Luffy proclaims that he will be the one to find One Piece (which catches Law's and Kid's attention), Kid tells Law and Luffy that the three will meet each other in the New World, to which Law only smiles. Then, as a bigger Marine grunt tries to attack him, he orders his bear companion, Bepo, to attack them, but he is done fighting. Before he exits the scene, he recruits Captain Jean Bart, a former slave of Saint Roswald, into his crew, to which the captain accepts wholeheartedly, although Law tells him that half of the thanks will have to go to "Mister Straw Hat". Law and Kid confronting a Pacifista. Added by GenocyberAfterward, he and his crew make an escape but come across the Kid Pirates fighting a Pacifista. Kuma attacks him with an energy blast but he manages to avoid it before he and Kid prepare to fight the Pacifista. The events of this battle are not shown but him and his crew manage to escape the Pacifista and the admiral. During the Whitebeard War, Law and his crew were initially present on the Sabaody Archipelago where the broadcast of Ace's execution was being shown. He was presumably watching the events at Marineford unfold, along with his fellow Supernovas, as he ordered Bepo and Jean Bart to set sail immediately after the broadcast was cut. Law and his crew arrive at Marineford. Added by KtoushowTowards the end of the battle, as Jinbe and Buggy fled the conflict with a critically injured Luffy, Law emerged from the ocean in his ship, a submarine. With Bepo and Jean Bart at his back, Law told Buggy that he is a doctor, and ordered him to hand over Luffy for medical treatment. He claimed that although Straw Hat may become an enemy of his in the future, Law would not allow that destiny to go unfulfilled by letting him die now. As the war gets more intense, Law continues to tell Buggy to drop Luffy and Jinbe to his ship. Just as Buggy is about to, he is shot through his shoulder by Kizaru and throws them at Law's ship as he flees. As Jean Bart catches them he orders his crew to dive, but as soon as they're leaving, Kizaru shows up and tries to capture them. Luckily, the distraction of Coby and the Red Hair Pirates allows them to leave the battle ground. But before his vessel could fully submerge, Buggy, who was convinced by Shanks to help return his hat back to Luffy (for a treasure map that the Yonko was supposedly willing to give in exchange for Buggy's services), threw Luffy's signature hat at the submarines opening hatch right before Law sealed it off, and was promptly caught by Law. He then commenced to supervising Luffy and Jinbe's medical treatment while putting the Straw Hat on the side table, as the submarine is evading Aokiji's Ice Age and Kizaru's Yasakani no Magatama. Later, as Boa Hancock and Emporio Ivankov arrive with a Marine battleship, he comes outside from the sub and informs them that he has done all he can and that Luffy is still in critical condition. When asked by Ivankov if he was a friend of Luffy, he replies that he isn't and that he also had no obligation to save him. He offers to make an excuse as to why he is treating Luffy, only for Ivankov to state that he didn't need to as Law was only following his instincts. Jinbe then wakes up and thanks Law for saving him and Luffy, only for Law to bluntly tell Jinbe to go to sleep or he would die. After his crew's arrival at Amazon Lily, he told Jinbe that if Luffy kept struggling his wounds will open back up and he might die this time. Later, he was seen looking at Luffy's straw hat with a curious look on his face. After a little while, he and his crew see Silvers Rayleigh take down a sea king and swim ashore. He tells them he was hit by a storm, but Law's crew is baffled about a storm on the Calm Belt (only to realize it was actually a storm outside the Calm Belt). Law gives him the straw hat and sets sail. He then talks about Rayleigh and figuratively about the storm made by "D" with a grin on his face while he sails away. Law taking his time to enter the New World. Added by GenocyberHe is seen again somewhere near Sabaody Archipelago, discussing with his crew about why he doesn't want to enter the New World yet, saying that he is waiting for the right time and that in any case the One Piece won't disappear and that the other pirates are free to fight each other without him. He then tells his men to follow his orders in order for him to "steal the proper throne", to which his crew happily rejoices. Some time during the timeskip, Law gained the title of Shichibukai by sending the hearts of one hundred pirates to the World Government. He went to Punk Hazard in the New World and under some circumstances, Law ended up associating with Vegapunk's former colleague known as Caesar Clown. While working with Caesar, he gave new legs to Brownbeard and many others who lost the ability to walk. When Kinemon came to Punk Hazard to find his lost son, Law confronted and dismembered the samurai. After intercepting a distress call that Luffy answered, Smoker and his men then go to Punk Hazard to find the Straw Hats. They arrived at the frozen side of the island in front of a large facility. Before entering the building, the marines are then greeted by Law who asks what they are doing at his "vacation house". Smoker reminds Law that the island is off-limits. Replying in kind, Law then tells Smoker that it goes the same for him. Smoker then plays the message between the man on the island and Luffy. Smoker then tells Law that he knows that Law and Luffy fought together on Sabaody and that Law saved Luffy during the war. Law, however, insists that he had nothing to do with the emergency call. Smoker then requests on seeing the inside of the research facility, but Law would not allow Smoker inside. He states that he is alone on the island and if he sees Luffy or any of the Straw Hat Pirates, he would kill them. Law lifts the Marines warship. Added by NaruIchi24Just then a group of the Straw Hats accompanied by the imprisoned giant children come out through the door. Chopper sees and accuses Law of kidnapping the children. The Straw Hats and the children run back inside after seeing the marines and Law insists that he did not even know that they were there, and that this is all a surprise to him. As the marines prepare to chase after them, Law stood in their way. He uses his Devil Fruit power on the Marines' ship, lifts it out of the water, and turns it upside down. Law then tells Smoker that he cannot let him leave the island now. Smoker and Law then prepare to fight. Law was next seen apparently having severed Smoker's battleship in half and left one half fused to a mountain, while the other half remained on the ground, thereby depriving the Marines of any means of escape. He then turns around, saying that he cannot let the fleeing Straw Hats run away either and proceeds to swap their hearts around with Shambles. When the Marines tell Law that his Shichibukai status would be revoked if they report him to the government, Law doesn't seem fazed and simply uses "Scan" to steal all of their Den Den Mushi and says that he wasn't going to let them say a word of what they have seen to the World Government or to Headquarters. Smoker then attempts to attack him, but Law evades his attack and slashes. Smoker seems unaffected, but the Marines watching get sliced up instead. Tashigi then attempts to attack Law as well, but Law effortlessly slices her and her sword in half. Tashigi tells him that being sliced but not killed is a shame to a swordsman, but Law says that weaklings do not choose their method of death. Added by ThdyingbreedLaw then offers to slice Tashigi more as the G-5 Marines fire repeatedly at him in her defense, but they scream in shock as he effortlessly switches their ordinance with the snow falling above them. He attacks Tashigi once more but Smoker blocks him with his jutte, and the two of them fight. As they clash, Smoker demands answers from Law, some regarding on who Law is working for, indicating hidden motives. Law manages to gain the upper hand by stealing Smoker's heart with his Mes attack. While Smoker kneels in defeat, Law comments that he doesn't have to tell him anything. Luffy then arrives at the scene and is pleasantly surprised to see Law. Luffy quickly expresses his thanks to Law for his help two years ago. Law merely states that he was just acting on a whim and tells Luffy that he will find something in the back of the research facility. He also tells him they both have something they want to get back. Law then goes back into the building, while still carrying Smoker's heart, and speaks to Caesar Clown. Caesar demands an explanation for his actions, but Law replies that he is the one who should be complaining. He later gives Smoker's heart to Caesar. Caesar holds Smoker's heart in his hand, while Law looks on silently with a displeased look in his eyes and a frown. Law then asks what happened to Straw Hat, and Caesar reveals that having taken Monet's warning about the Straw Hats' possible increase in strength seriously, he sent two powerful people after them: the Hitmen of the Snowy Mountain, the Yeti Cool Brothers. When Monet informs Caesar about Law's association with Luffy at Sabaody Archipelago and Marineford, Caesar pulls a pistol on Law and questions him about his relationship to the notable pirate. Law denies having anything to do with the Straw Hats' presence on the island. Caeser then realizes that Law wouldn't betray him, as he wouldn't make things more complicated for them, after becoming a Shichibukai and coming to Punk Hazard. As Caesar is about to leave, Law asks him why the kids won't run away. Caeser tells him that he gave the kids the addicting drug NHC10, to which Law responds with disgust, he also points out that it reminds him of someone. After finishing talking to Caesar, Law heads to the back door of the facility and cuts down some of Caesar's troops along the way, remarking that he can go wherever he pleases. Law cuts Scotch in half. Added by KlobisWhile Luffy and Franky are fighting against the Yeti Cool Brothers, Law appears and cuts Scotch in half. Scotch gets back up and comes at Law with a knife. Law jumps up and puts both hands on Scotch's chest. 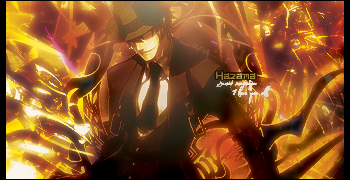 He emits an electric current, using a move called Counter Shock, causing Scotch to fall over in a burning heap. Nami thanks Law, but promptly retracts it and asks for her body back. As Luffy breaks Nami's chains with his teeth, Law tells him he wants to talk to Luffy about something. Even though his coming to the island might have been accidental, there is an important key lying dormant on the island that could throw the world into pandemonium. He goes on to say that there are only two ways to survive in the New World, either go under the safety umbrella of a Yonko, or consistently challenge them. Law says he knows Luffy is not the serving kind, which Luffy agrees with. Law then asks Luffy to form an alliance with him, all for the purpose of bringing down an Emperor. When Luffy tries to comprehend how Law wants to defeat a Yonko, Law explains that he wants to think off a strategy and wait for the right chance. After asking Luffy again, Luffy responds that he wants to know which Yonko they are going to defeat. Law gives an answer that is only audible to Luffy and Nami. Luffy then happily agrees, much to Nami's protest. Returning with Luffy and the others to where the other Straw Hats (Chopper, Usopp and Robin) are staying, they too protest against the alliance stating that Law is suspicious and cannot be trusted. Declaring the alliance official, Luffy reaffirms his belief that Law is a good guy and that if he does betray them, then he would have to contest with Luffy and his crew mates that have spent two years training. Law watches impatiently as they continue to argue about whether they can trust each other. Afterwards, with the discussion on trust settled, he returns Franky and Chopper back into their original bodies, but is forced to leave Nami (much to Luffy, Chopper, and Usopp's amusement) in Sanji's body. Demanding her body back, Law simply states that he cannot unless her body is nearby. Quickly changing the subject to the children, he goes on to advise that the Straw Hats should simply leave the children behind, as they would be too much of a burden to bear and Caesar has them addicted to a drug in order to control them. After Chopper states that he knew that and points out that they've grown so big, Law explains that turning humans into giants is a World Government project that has been going for hundreds of years. When Robin asks why they would do that, he guesses that it is an attempt to create powerful soldiers and that Caesar is continuing the research to beat the World Government and Vegapunk, even though it does not seem to be going very well. Law then asks them again if they really want to save the kids, since they don't even know them or where they are from. Chopper and Luffy both state that they want to and Luffy says that Law has to help them, if he wants an alliance. Luffy then adds that Sanji wants to hang on to the samurai, shocking Law as he was the one to cut him into pieces earlier. Usopp then tells Law about how his and Luffy's ideas about an alliance are probably very different, and that Luffy would be very stubborn and selfish. Law ties the catatonic Chopper to his sheath to accompany him. simply points out that their own wishes of helping the kids and Kinemon are not part of the alliance, but quickly changes his mind and tells them to do something about the samurai while he goes to try and figure out what medicine the children were administered. Asking who their doctor is as they'd need to accompany him, Law is then mortified as Chopper (still paralyzed and injured due to Luffy and Franky's earlier actions) was tied to the top to his hat by Usopp. Law instead opts to tying Chopper to his sword's sheath and informs the Straw Hats that Caesar wants to get rid of them and the White Hunter, and that he'll keep attacking until he succeeds as they have uncovered his hidden base of operations. After he explains to them that Caesar is a scientist for the World Government gone rogue and his dangerous abilities requiring Haki to counter, Luffy asks him if kidnapping Caesar is all they have to do. Law confirms this, stating that the goal isn't a ransom but instead 'chaos'. However as they haven't achieved anything yet, he chooses to not inform them of any more of his plan and to just focus on capturing Caesar. He assures them though, that he'll explain his plan to them in detail, but once they get to that point he warns them that things will begin to move very fast and that they can't go back. Law gives Luffy one last chance to change his mind, Luffy, however, still wants to have the alliance and agrees to convince the rest of his crew of their intentions. Law later uses his Devil Fruit powers to warp himself and Chopper to the back side of the research facility to begin their part of the plan. They then discuss on how they can begin searching for the drugs. Law is then seen surprised when Luffy's group is launched into the middle of a battle between the G-5 Marines and Caesar's subordinates. He then enters the facility with Chopper hidden in his bag. He approaches Monet and asks her to come with him. Before leaving with Monet, Law leaves Chopper in the room. While walking in a hallway, Law suddenly collapses to the ground. A mysterious person approaches and Law is surprised to see him.